Wanna do PC based wireless datalogging, or control your robot thru bluetooth - this product is a must have, easy to connect and explore wireless connectivity with microcontroller like Basic Stamp, Arduino, 8051, PIC, Atmega. This is a handy little Bluetooth USB mini-adapter . 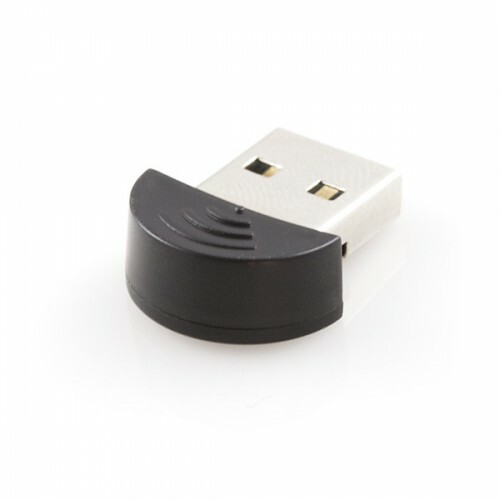 This adapter supports Bluetooth v2.0 class 1 and has a maximum distance of up to 100m. The adapter also includes an indicator LED.